All members of The EMoP Network and designated curators met in Vienna on January 23d to discuss the planned book on the topic ” The Body on contemporary photography ” ( expected Spring 2019 ) and the related exhibitions in the member cities. 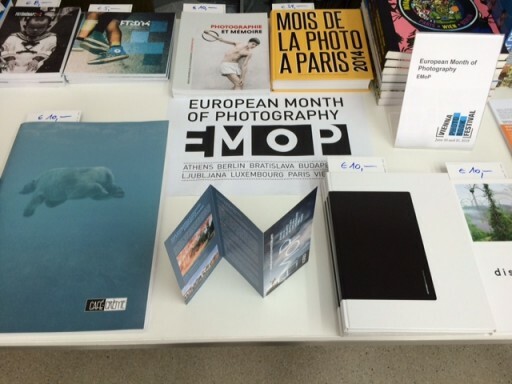 EMoP is showing up the the ViennaPhotoBookFestival 2015. The ViennaPhotoBookFestival is Europe’s largest festival focusing on the photo book, initiated by Anzenberger Gallery and OstLicht. Gallery for Photography. It takes place for the third time this year, on June 20 and 21, 2015 at Brotfabrik Wien. Due to the festival’s cooperation with Superar and Photon Gallery, more than 1,000 m² will be available for the 80 participating international booksellers. A high-caliber program of lectures, talks and discussions has again this year first-hand information about photobook. For the third edition of the festival succeeded in one of the most important protagonists of the photo book scene, the American star photographer William Klein to get the first time to give a lecture in Vienna.